Refillable Liquid Eyeliner by Zao is designed to suit the most sensitive eye. Using high quality raw ingredients, COSMOS certified organic and enriched with aloe vera. This Refillable Liquid Eyeliner has an intense black colour. 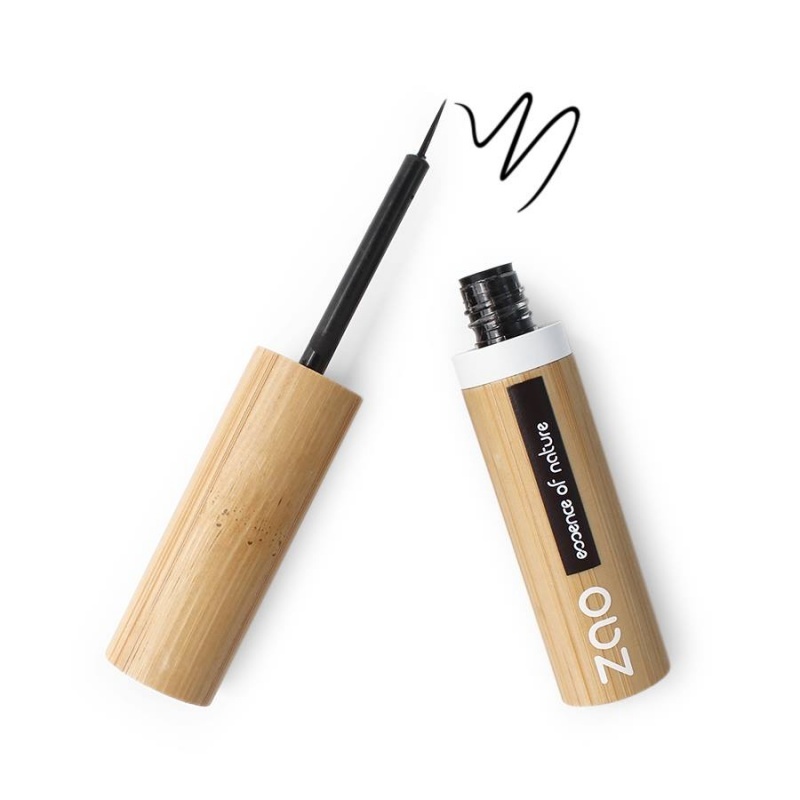 This eyeliner is also refillable, helping to reduce plastic waste. Organic aloe vera juice: The aloe vera plant is renowned for its soothing properties and nourisment. Organic bamboo water: Moisturises and soothes the delicate eye area. Organic acacia gum: Derived from the acacia senegal tree, this is a natural bonding agent to boost the eyeliner's staying power. Organic shea butter: An extract from the fruit of the shea tree. It nourishes and moisturises.